Educational game of sorting food into fruit, vegetable, and bread categories. Is there a better alternative to LikeFood? Is LikeFood really the best app in Teaching Tools category? Will LikeFood work good on macOS 10.13.4? 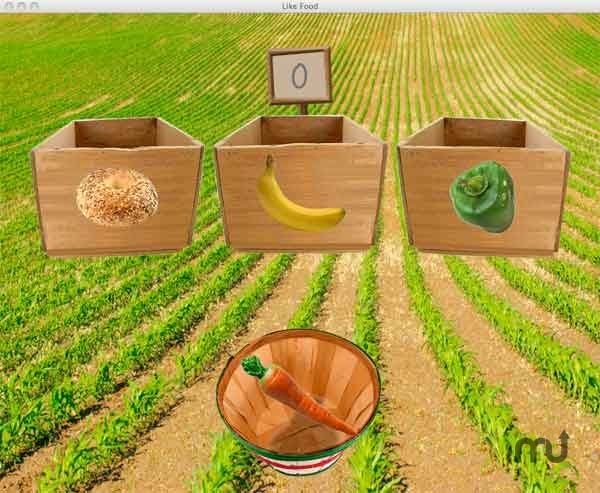 LikeFood is basic educational game of sorting food into fruit, vegetable, and bread categories. Drag and drop a piece of fruit, a vegetable, or a kind of bread onto a like item of food. Choose number of items to sort, and, if you like, percentage of right answers that will trigger applause at the end of the game. Version 1.0.1 release notes not avaiable at the time of this posting. LikeFood needs a review. Be the first to review this app and get the discussion started! LikeFood needs a rating. Be the first to rate this app and get the discussion started!